Slideshows are a unique type of audiovisual content that has lots of potential. Often slideshows can be used to transform photos from a vacation, event, or special occasion into a unique and engaging video. However, they could also be used to create presentations, guides, and much more. At the end of the day that is why you need a slideshow software that is versatile and will let you use your images to create impressive slideshows. As a specialized slideshow creation software, Movavi Slideshow Maker (https://www.movavi.com/photo-to-dvd-slideshow/) can help on that front – and it will make it easy to boot. Easy mode that will provide you with a tabbed guided workflow to create a slideshow that includes background music as well as animated transitions. Full Feature mode that has a timeline-based interface and gives you full access to the entire range of features in Movavi Slideshow Maker. 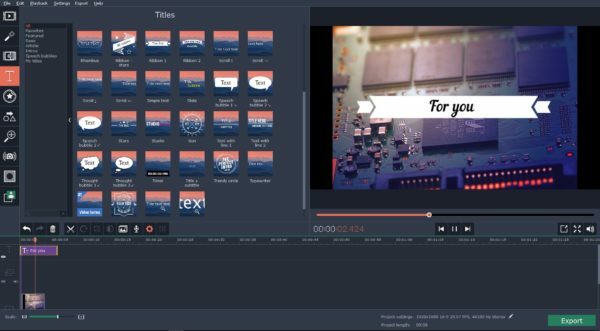 As you may expect Movavi Slideshow Maker’s Easy mode is more limited in terms of features, but will provide a quick and easy way to put together a simple slideshow with audiovisual elements. On the other hand the Full Feature mode will allow you to flex your creativity and take control of practically every aspect of your slideshow. Compile slideshows from images as well as video clips and arrange them in the right order. Add background music or other audio tracks to accompany the slideshow. Record a voiceover on the spot via a microphone to narrate the slideshow. Place various different styles of transitions between photos. Apply filters and other visual effects to give your slideshow a unique style. Enhance the quality of images and videos that are included in your slideshow manually or automatically. Edit audio tracks to improve the audio quality, adjust sound levels, remove background noise, or apply effects. Insert customizable text elements in various styles, including some that are animated. Between all these options you should be able to create any type of slideshow that you want, whether it is a photo slideshow from your personal photos, or a presentation using images. More importantly due to Movavi Slideshow Maker’s intuitive approach, it won’t take more than a few minutes for you to familiarize yourself with any of the features listed above. If you would like to be able to compile slideshows that stand out and look impressive, you can’t go wrong by using Movavi Slideshow Maker. It has exactly the kind of capabilities that you need to create slideshows that look (and sound) great. On top of that there’s no learning curve to speak of, so you could start creating your first slideshow right now if you want to.